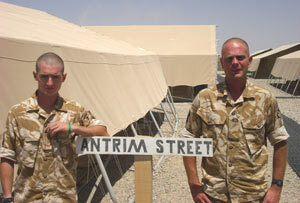 Members of IMJIN Company, 2 Royal Irish, are really pulling out all the stops to aid with our appeal. 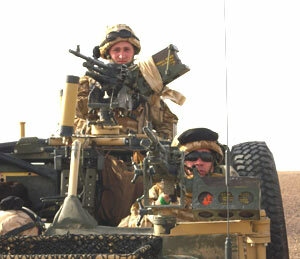 The 92 officers and men of the company are currently stationed in Afghanistan serving with the 16 Air Assault Brigade. 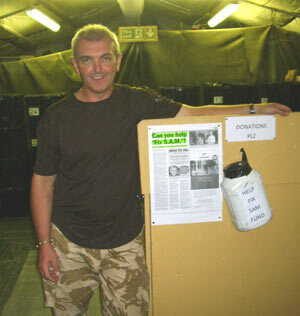 "In keeping with custom, 2 Royal Irish donate to a charitable organisation annually and IMJIN company are no exception, even here in Afghanistan," says Gary. 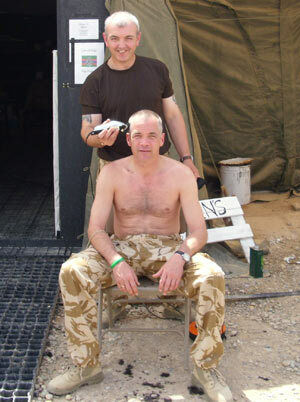 Within hours of reading about the appeal, their operational resident barber, Cpl Alan Yeates, was busy shaving heads to the required British standard for $2 a go - all in aid of S.A.M., while others put on their thinking caps in a bid to raise as much cash as possible. 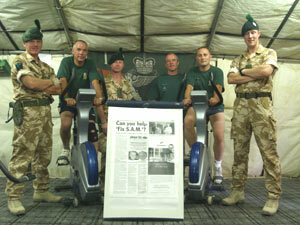 The result was an epic stationary cycle marathon, launched on June 9th by Major Mark Hudson (OC) Officer Commanding Imjin Company. 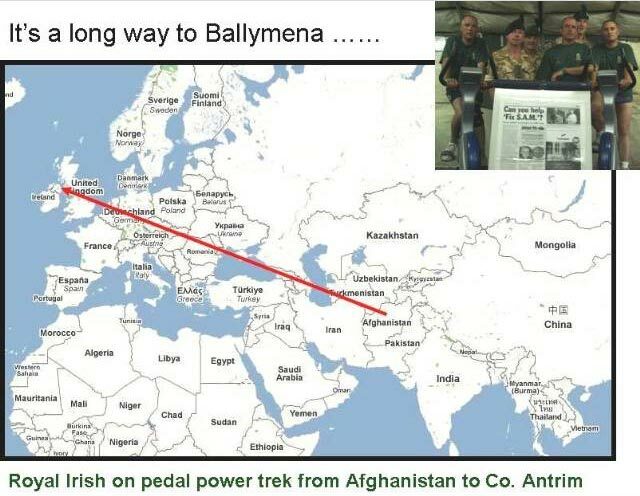 Gary explained: "It saw Company Sergeant Major Errol Monaghan, Colour Sergeant Stephen Barnes and myself kicking off the sponsored ride from our camp, Camp Bastion, to Ballymena - on exercise bicycles in the gym - in temperatures averaging 44 degrees, covering a distance of 5,958 Kilometres. "Before the end of our tour, the distance will be whittled down by the officers, senior ranks and men of Imjin Company". It's early days for their fund raising efforts but Gary is confident that by the end of their current tour in September, their efforts will have paid off. "In the past two days here in the middle of the desert we have collected $950, not a bad start," said Gary. There are more ambitions plans in the pipeline - watch this space for further details!! After 5 days hard slogging we have managed to knock off just over 700 Km from our target, it is hard going with the temperatures settled now at 45/46 degrees, puddles of sweat are at your feet within minutes of starting. Because of the various taskings, the lads can be on the go for up to 18 hours a day, there is no set pattern as to when they can get to the gym - it is down to when they can fit it in. We are now well over the $1000 mark here in Camp Bastion and pledges of cash are starting to flood in from friends and relations back home. Every soldier gets 2 weeks R&R during their 6 month tour out here, and all heading home get the manditory brief, and now a sponsor sheet to dish out amonst their friends and family, so hopefully this will boost our efforts. Various schemes are being hatched to raise money I am playing Ranger Robert Rock a game of golf for $50 dollars around a championship course ..... on a play station 3. Rocky from Portglenone and a member of the mortar platoon in Ballymena is an expert so I am told so I will need bit of practice first. We have put the fundraising out to the entire Royal Irish to get on board with the fundraising for S.A.M. "